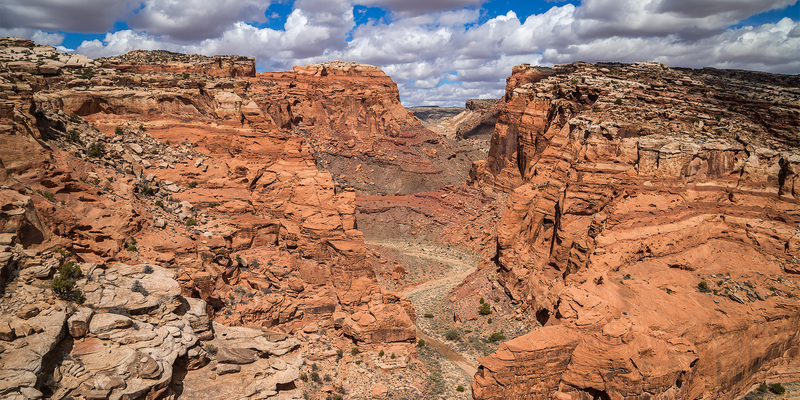 Years ago I tried hiking into Little Wild Horse Canyon and Bell Canyon, which are slot canyons that cut through the San Rafael Reef near Goblin Valley State Park, but I was chased away by thunderstorms that day and have never returned to try again. 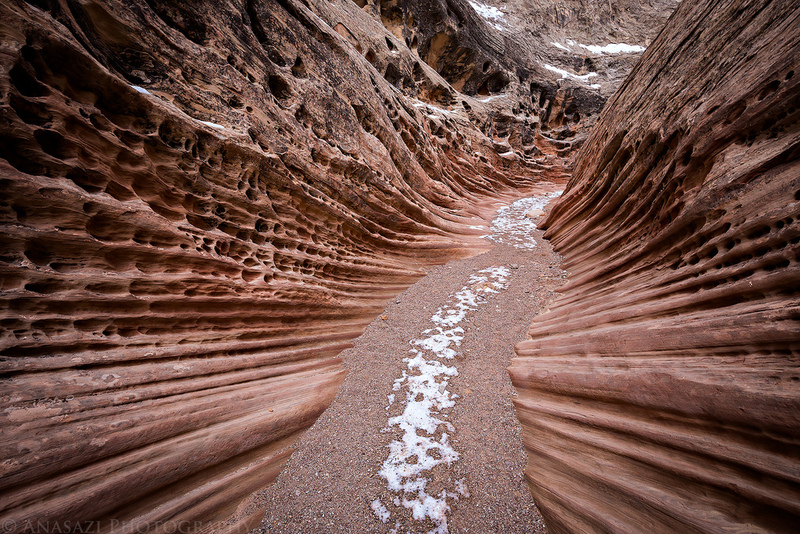 Since that time the popularity of these slot canyons have exploded, which is part of the reason I had never bothered to return. I finally decided that it was time to head back this weekend to hike these San Rafael Swell classics. I was hoping that we wouldn’t run into the large crowds that these canyons attract since it’s the middle of winter, and we didn’t. We would only pass one single hiker during our entire hike and that happened on the old road used to connect the two canyons together to form a loop.